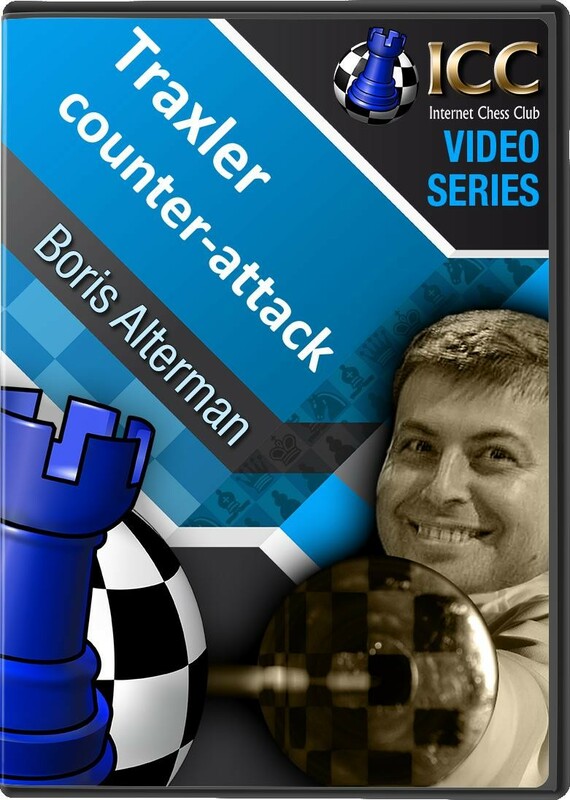 GM Boris Alterman explores the tricky Two Knights Defense with the Traxler (or Wilkes-Barre) counter-attack with 1 e4 e5 2 Nf3 Nc6 3 Bc4 Nf6 4 Ng5 Bc5!? It's named after the Czech priest Karel Traxler, who first played a game in the line in 1890. However, it wasn't until Correspondence World champion Yakov Estrin wrote a famed book on the Two Knights some 80 years later that the main theory of the opening really developed. The idea is to ignore the early attack on f7 with the bold 4...Bc5! ?, as a sacrificial blitz soon ensues. 1 e4 e5 2 Nf3 Nc6 3 Bc4 Nf6 4 Ng5 Bc5! ?